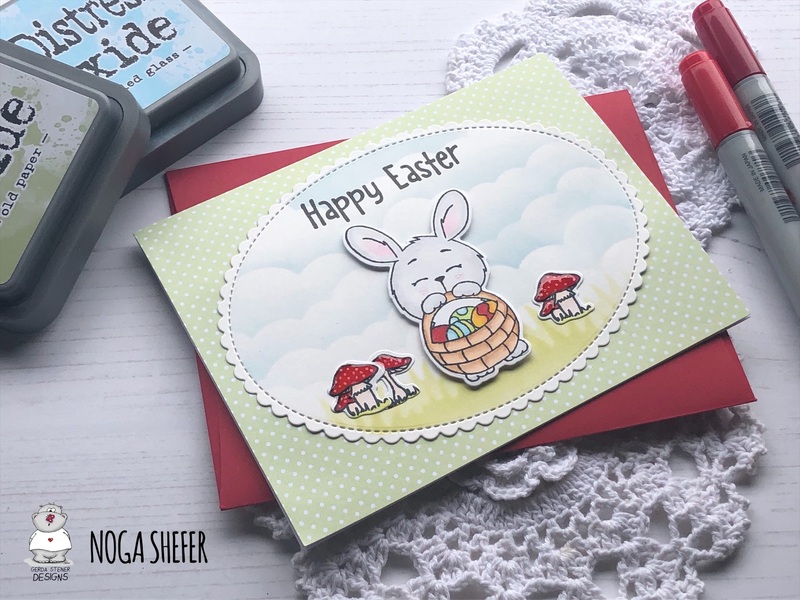 I also used in this card the adorable mushrooms from Foxes 4x6 Clear Stamp Set. To make this card I cut an oval scallop shape of Bristol smooth cardstock. The background sky was created with clouds stencil and tumbled glass distress oxide ink and the grass was created with grass stencil and old paper distress oxide ink. Next I colored the images using copic markers. I added some glossy accents on the mushrooms. I glued the bunny to my panel with foam tape for dimension and glued the mushrooms with regular glue. Finally, I put everything together using green dotted paper.